If you are a committed sponsor looking to make payment by credit card. Please use the link below. 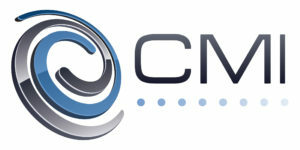 Let CMI manage the intricacies of making your content perform in any market. We’ve honed our expertise over 50 years, so you never have to worry about the details. We can get your media to the right place, in the right language, in the right format and on time. At blum, we understand the importance of working side-by-side with you, striving to be the most effective partner possible and tailoring our services to fit your needs. As the largest regional business advisory firm based in New England—with nearly 500 accounting, tax, advisory and administrative professionals in Connecticut, Massachusetts and Rhode Island—our continual sharing of subject matter and industry expertise amongst our colleagues allows us to assess challenges from many angles. We look for value and opportunity in unexpected places, providing personal attention that leads to a clear understanding of what success and satisfaction mean to you. Sharon Danosky is a strategist, thought leader and BoardSource Certified Governance Trainer who partners with nonprofit organizations to lead them to better pastures. Whether in the Board room, the Chief Executive’s Office or working with staff, Sharon brings a hands-on approach that gives her clients the tools that work and instills them with the confidence to succeed. The firm she founded, Danosky & Associates, works with non-profit organizations build the capacity to move their strategic vision forward with a solid foundation and an army of support behind them. MSP Cultivate is a New Canaan based strategic marketing agency specializing in enhancing nonprofit organizations’ mission-driven communication. Our mission is to use the latest in technology, creative services, and production methods to help you accomplish your most fundamental goal: engaging and connecting with your constituents, and helping raise money. We work with multi-hospital healthcare networks, colleges, and a variety of nonprofits. Our strategies increase donation returns on development dollars spent. The result of MSP’s partnerships has helped organizations improve donor retention, increase participation rates, and total dollars raised. Our team professionals bring the experience of veteran fundraising specialists, digital marketing experts, database gurus, and creative artists. CompuMail has provided marketing communication services for over 25 years, specializing in dataprocessing; graphic design services; digital, offset, and thermographic printing; purl, gurl and QR code development; direct mail services and more – all in our facility in central Connecticut. Whether it is printing your business cards or developing and managing your fundraising campaign, we engage industry leading technologies in order to bring our clients the best products and results. Call us today to address any of your marketing or fundraising needs!